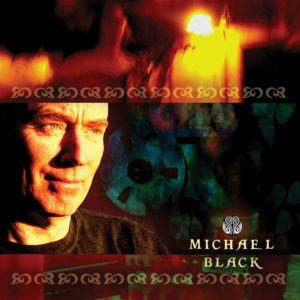 Michael Black’s self titled album includes a music hall song from the 1930s, a traditional song sung in Irish, a ballad about war and the costs of it from New Zealand, a sea shanty, and a song to dance the baby on your knee. What makes it a cohesive whole is Black’s voice and his love of and natural ability to convey a good story. Dublin born Michael Black grew up in a family of singers. Mother, Patty, and father, Kevin, filled their home with music and their children clearly took up that love, with all five of them following music professionally at various points in their lives. Black has often performed with his brothers Shay and Martin as The Black Brothers, and he is older brother to Irish superstar Mary Black and top solo artist Frances Black. All five have also recorded three albums together as The Black Family. “The music’s in my blood, you know, I don’t think there’s anything I can do about it,” he reflects, laughing. With a doctorate in sociology, Black has taught at the university level in San Francisco where he now lives but, “really, my job is a dad. I have three small kids, three girls. My wife works a professional career, and when they came along we made the decision that I’d care for them. I’ve been a teacher, been around kids all my life, so it was a natural decision.” With his daughters growing up, it was time to turn more of his attention to his music. One of the results is his first solo album. The family pitched in to add outstanding harmonies to the tracks, too. Black’s brothers and sisters Shay, Martin, Mary and Frances all sat in, as did members of the next generation of the Black family, including rising pop star Danny O’Reilly and up and coming singers Eoghan Scott and Roisin O’Reilly. “They’re even more amazing singers than we are,” Black says. “All the family can sing, so why not have them all along?” he adds with chuckle. In addition to John Doyle on guitar and bouzouki, others who support Black on the recording include fiddlers Liz Carroll and Liz Knowles, Solas’ Seamus Egan on whistles, Chico Huff on bass and Dirk Powell on piano.